Random thoughts on food, cooking, restaurants, food products, food literature and kitchen equipment by Bobby Jay, a retired lawyer living in New York and Paris. 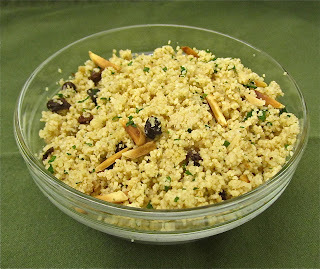 Last night I tried whole wheat couscous on the theory that it must be better for you -- more fiber, etc. -- than the regular variety, as is the case for whole wheat bread and pasta. Since I bought it in bulk, I had to check the Internet for directions (if you buy it in a box, follow the instructions). It turns out that it requires higher ratio of liquid to grain than regular couscous. I used 1-3/4 cups water for 1-1/4 cup of whole wheat couscous. I made my standby, super-simple recipe based on one from Bobby Flay, and found it to be just as good as the ordinary variety, both in terms of texture and taste; perhaps a little nuttier, in a nice way. 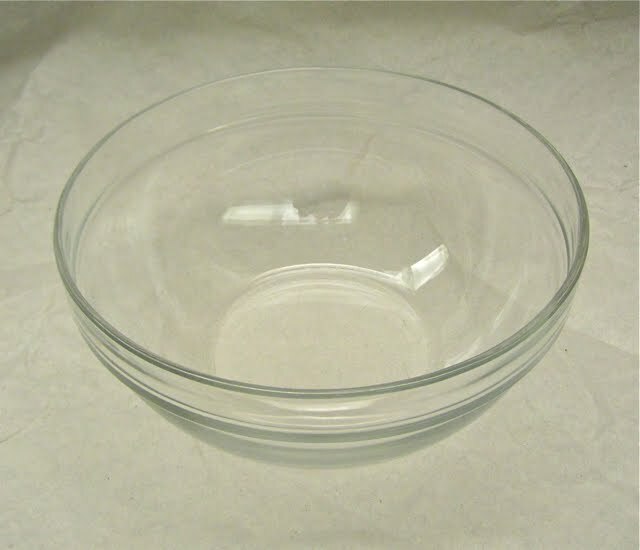 Bring lightly salted water to a rapid boil. Sprinkle in the couscous, stirring rapidly with a fork. Add 1/4 cup, more or less, of currants. Cover and turn off heat. Wait 10 minutes. Fluff with a fork and add toasted almonds and parsely. I served this with home-made merguez (lamb sausage), accompanied by harissa sauce on the side, and it was a perfect match. En Passant (3) . . .
From time to time, ideas cross my mind, often in response to questions from friends, that are worth writing about, but do not individually merit full posts. This is the third post in a series devoted to such matters. Heading for Paris? If you saw Woody Allen's Midnight in Paris, you will want to get the Midnight in Paris App for your iPhone or iPad. For 99 cents, this little app identifies and places most of the scenes from the movie, reminds you of their context in the film and gives interesting historical or cultural background information. You'll find the app at the App Store by searching for "Movie Lover's Paris" or "Midnight in Paris." I have started using these Bormioli Rocco Italian workbowls . . . 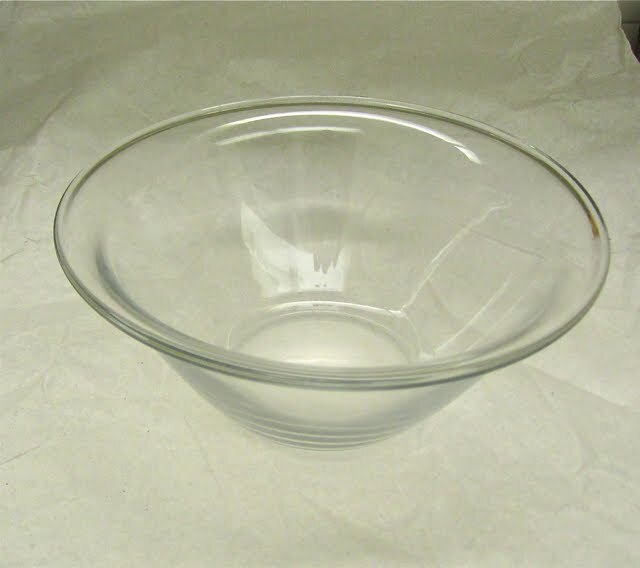 Both types are heat resistant and stackable, but I prefer the more sharply sloped sides and the smaller bottom of the Bormioli bowl; it seems to me that it's slightly easier to mix things, whether by spoon or by whisk, in these bowls. Also, they have a lip that makes them a little easier to handle than the Luminarcs. They're available at Zabar's and elsewhere and are quite inexpensive. A recent Cook's Illustrated mentioned nutritional yeast as an interesting savory ingredient to sprinkle over popcorn, and it is. But it is a good deal more. Unlike normal yeast, it has been cooked and has no leavening power so it is (and has for 100 years been) used as a nutritious flavor enhancer. Available in bulk or in jars at health food stores, it contains no sodium, meat, dairy or fish product, is gluten-free and contains lots of good amino acids and vitamins. What it does have is a cheesy, savory quality that provides a hit of umami, which is most typically found in abundance in parmesan cheese, anchovies, soy sauce, fish sauce, broiled red meat and similar sources. All of these except soy sauce have animal products, and soy sauce generally (always?) contains wheat. 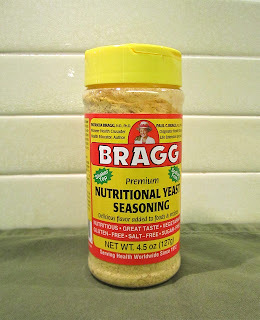 Nutritional yeast, which is not to be confused with Active Dry Yeast or Brewer’s Yeast, is a deactivated form of the microorganism Saccharomyces cerevisiae. The yeast is pasteurized and placed in a dryer to deactivate the yeast and bring out its nutritional properties. The yeast, which is gluten free, has a flavor reminiscent of cheese and is rich in amino acids, B-complex vitamins, niacin, folic acid, zinc, selenium and thiamine. Bob’s Red Mill’s nutritional yeast has been fortified with vitamin B-12, as well. 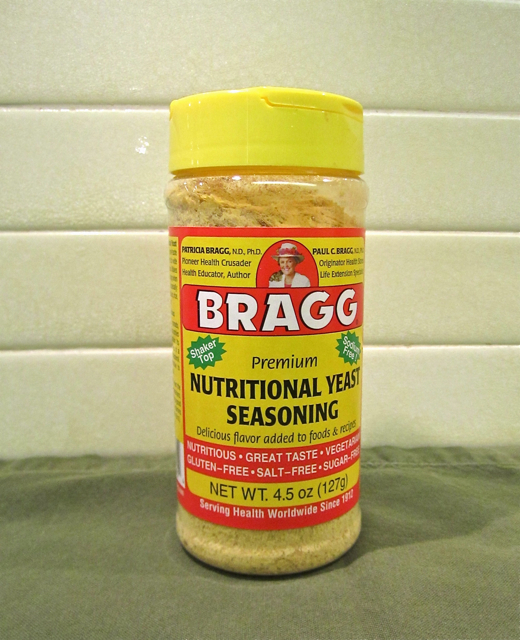 Nutritional yeast is popular with vegetarians and vegans whose diets can be deplete of B-complex vitamins, especially B-12. Nutritional yeast won’t make your bread rise or your beer ferment, but it is excellent sprinkled over popcorn and pizza. It can be added to breading for tofu or meat to increase the flavor and nutritional value of the food. The yeast is also a wonderful addition to gravies and sauces or used to create a non-dairy ‘cheese’ sauce for those who are vegan or who cannot tolerate dairy. I'll report back if I come up with something great. Michael Ruhlman has done it again. Following fairly soon on the heels of his excellent Ratio, he has produced a wonderful new book, Twenty: 20 Techniques, 100 Recipes, A Cook's Manifesto. While many of the twenty chapters-- salt, water, acid, eggs, butter, flour and sugar -- are ingredients, rather than techniques, Ruhlman explains that they are tools, and his explanations of how to use them are, in effect, techniques. And he's right that the semantic difference doesn't matter, for this book is a book about cooking basics, but not just for novice cooks. His explanations of the "real" techniques -- dough, batter, sauce, soup, saute, roast, braise, etc. -- as well as his discussions of how the "tool" ingredients are used, are sophisticated and enlightening. I found myself making connections that I hadn't made before, and better understanding some of the things I've been doing for years, making pan sauces, for example. All this in a well-written and beautiful package, with detailed illustrations that add a lot to the technical descriptions and recipes. Ruhlman includes 100 clearly-expressed recipes of varying degrees of difficulty, which are very inviting in themselves but are also selected to make a point. His French Onion Soup recipe is there to illuminate what he is saying about caramelizing onions as well as the power of plain water to be the best stock in many cases. Braised Lamb Shanks with Lemon Confit perfectly exemplifies the points he makes as to why and how to braise, and how to get the most out of braised meats by doing it a couple of days in advance, defatting and slowly reheating. A vinaigrette is infinitely variable. Replace the neutral oil with a flavorful nut oil. Alter the vinegar, from red wine to white wine or any of the other countless flavored vinegars now available. Use a citrus juice instead of vinegar. Consider adding spices -- cumin, cayenne, coriander, or allspice, clove, or cinnamon. Consider other flavoring elements as well, mustard, say, or peanut butter, or anchovies, or roasted peppers, or ginger. Twenty is a great read, and I eagerly look forward to trying a number of the recipes. Perhaps I will make an exception to my no-deep-frying-at-home rule to make his Rosemary-Brined, Buttermillk Fried Chicken, which Ruhlman says is "the best fried chicken, ever." I think I believe him. Since I wrote my last post on Roxbury Farm, a CSA in which I have a half-share, things have changed radically. Just after I wrote that post, extolling the bounteous vegetable deliveries we were receiving, Hurricane Irene and other major rainstorms destroyed many of the farm's crops, with the result that our subsequent weekly vegetable deliveries were smaller and less varied. Although tomatoes continued unabated, due to some clever planting strategies adopted by our farmers, Jean-Claude and Jody, at the beginning of the season, corn just stopped coming altogether, as did a number of other vegetables. But what really happened is that the CSA model worked. While the members' vegetable shares were adversely affected, we did not suffer serious financial loss, and the farmers, despite horrific crop losses, survived. This is because the members had financed the season, come what may, including hurricanes. So by spreading the risk, our farmers, and lots of others like them, will get to farm for another -- and hopefully many more -- seasons. I feel really good about that. This blog records my thoughts and experiences relating to cooking, eating, restaurants, food products and ingredients, kitchen equipment and other matters relating to cuisine. I do not offer reviews of New York restaurants; there are already enough reviewers and points of view. I will, however, discuss things that I discover at restaurants that may be of interest to others. I will offer brief reviews of selected Paris restaurants, as I am often asked for suggestions by people planning trips to that marvelous and beautiful city. In particular, I report from time to time on my ongoing quest for excellent, reasonably-priced restaurants in Paris; fortunately, there are many.